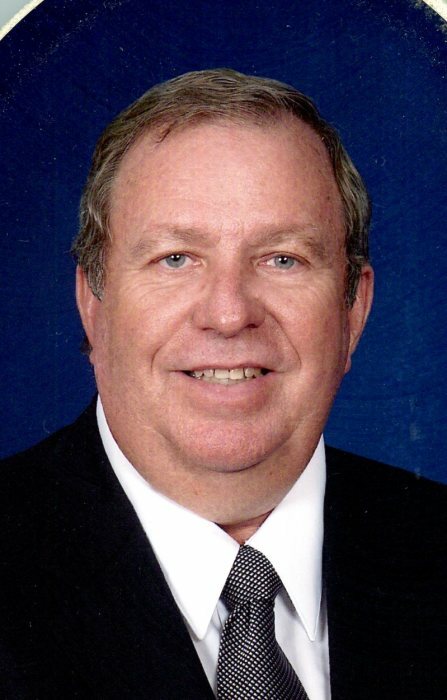 Wadesboro – Mr. Barry Altman, 70, died Tuesday, February 5, 2019, at Tidelands Waccamaw Community Hospital in Murrells Inlet, SC. A Celebration Service will be held at 2:00PM Saturday, February 9, 2019, at South Piedmont Community College’s Lockhart-Taylor Center located at 514 N. Washington Street in Wadesboro, NC. The family will greet friends immediately following the service and other times at the home located at 6932 Grassy Island Rd., Wadesboro, NC. Born on July 27, 1948, Barry was the 12th child of twelve children born to Clarence Webster Altman and Gracie Stone Altman. He grew up in the Johnsonville area of Florence County, SC and graduated from Johnsonville High School in 1967. Following his high school graduation, Barry went to work for a local Homeway Furniture Store in Hemingway, SC. However, his job was short lived when he decided to enlist in the US Army where he served mainly in Germany during the Vietnam War. Following his discharge, he returned to work for Homeway Furniture but this time in Darlington, SC. Several years and several store moves later, Barry and Julie moved to Wadesboro to run the local Homeway store. Around 1990, Barry had the opportunity to franchise into the Badcock Furniture Company. He enjoyed a very long and successful career and was well known within the company as a valuable trouble-shooter. He really enjoyed taking over a troubled store, turning it around, and then watching it prosper. During his career, Barry was involved with owning or turning around over 17 stores over 52 years! Outside of furniture, Barry had a keen interest in both hunting and fishing and spent as much time as he could in the woods or wetting a hook. Another of Barry’s more recent interests included the planting of a new church, Hopewell Baptist Church of Wadesboro. Barry received his salvation while attending Hopewell and from then on was on fire to help the church in any manner possible. Hopewell is currently using the Lockhart Taylor Center for their meeting space with plans to build in the near future. A new facility was a top priority of Barry’s and for that reason, the family suggests memorials be made to: Hopewell Baptist Church Building Fund, Attn: Hopewell Wadesboro, 420 Hopewell Church Rd., Monroe, NC 28110. Survivors include his wife of nearly 50 years, Julie Lee Altman of the home; a son, Clifton “Cliff” Altman of Wadesboro; a granddaughter, Gianna “Gigi” Oliver; and four brothers and sisters, C.W. Altman (Fannie Belle) of Johnsonville, SC, Susan A. Reid (Shelton) of Moncks Corner, SC, Frances Koonce (Dale) of Kingstree, SC, and Billy Altman (Shirley) of Hollywood, SC.